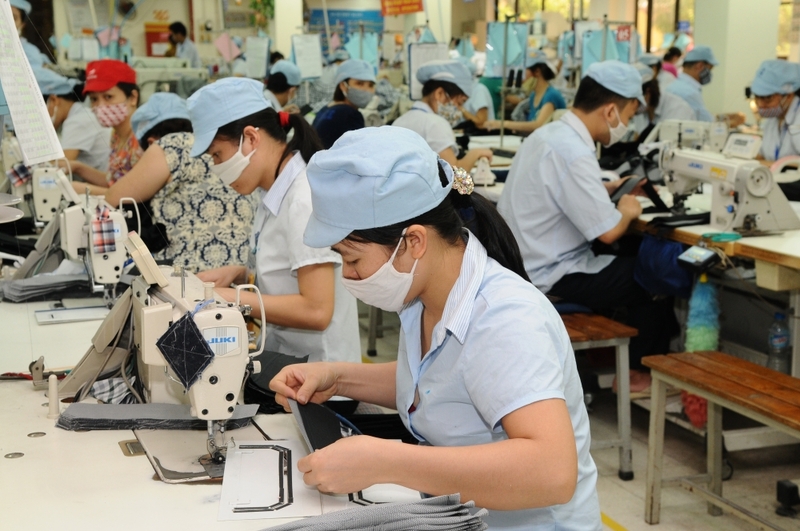 (VEN) - The industry and trade sector of the capital Hanoi is striving to achieve its 2018 targets, including 7.7-8.1 percent industrial growth, a 7.8-8.2 percent increase in the index of industrial production (IIP) and a 7.5-8.0 percent export rise compared to 2017. One of the main thrusts toward achieving its goals is to facilitate the development of the private economic sector. 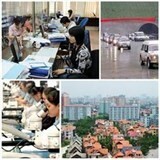 According to the Hanoi Department of Industry and Trade, in the first quarter of 2018, the city industry and trade sector reached an added value of more than VND24.32 trillion (up 7.12 percent from the same period last year), an industrial production value of almost VND117.34 trillion (up nine percent), an 8.5 percent IIP growth, and export revenues of almost US$3.12 billion. Major exports included computer components and peripheral equipment that yielded US$463 million, and textiles and garments with US$401 million. The achievements were attributed to the department’s efficient cooperation with relevant authorities and businesses, and measures that include a simplification of administrative procedures. Tran Thi Phuong Lan, Deputy Director of the Hanoi Department of Industry and Trade, said the department reviewed policies especially those facilitating the development of industrial, handicraft and trade infrastructure, and support and key industries. The department also directed state-owned enterprises to transform into joint stock companies, encouraged private businesses to buy shares of state-owned companies, and helped enterprises develop business chains. The department accelerated administrative reform by shortening the time required to complete various procedures, launching nine public services at levels 3 and 4, and registering implementation of 65 procedures in 2018, among others, Lan said. The city’s policies are in keeping with the landmark Central Committee’s resolution in May 2017 on the importance of developing the private sector as an integral part of the socialist-oriented market economy. To achieve this goal, the Hanoi Department of Industry and Trade department is working to create a healthy and safe business environment, and formulating regular monitoring and inspection regulations. In addition, the department will continue reviewing relevant policies, suggest scrapping or amending some of them in keeping with the changing times, effectively implement government directives on simplifying administrative procedures in the industry and trade sector, and recommend solutions to encourage businesses to develop production and trade connectivity of all forms. procedure simplification, and supervise the impact of policies to ensure their efficiency.